There were so many things happened in this episode, but Moo-Hyul’s appearance in this episode just cracked me up. People might be wondering what is the real relationship between So-Yi and Sejong, but Sejong and Moo-Hyul’s relationship is somehow fascinating to me. They are basically a faithful servant and his master, but beneath that, they are like brothers. I assume Moo-Hyul is the older one between them, but he’ll never be able to counter Sejong’s endless teases to him. 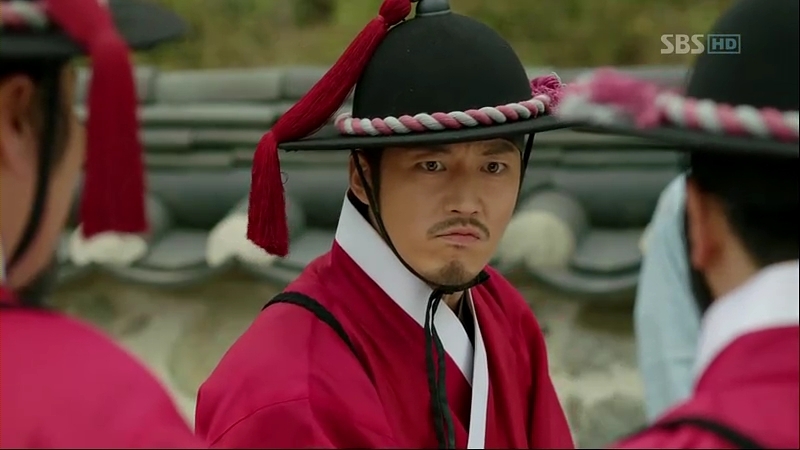 The most hilarious part is the Joseon swordmaster also knows how to pout. The news about Ga Ri-On’s arrest is delivered to Sejong. So-Yi confirms at that time when Scholar Nam was threatened, she was giving Sejong’s order to him, thus being his alibi. However, So-Yi can’t testify him, afraid that their plan would be made public before the right time comes. 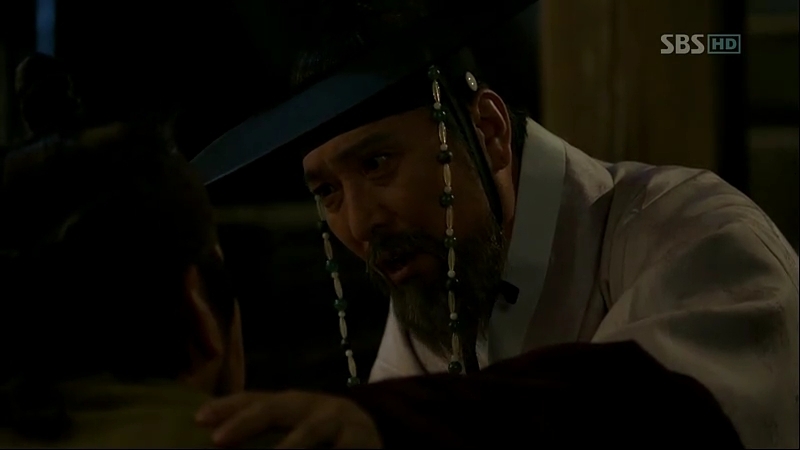 Chae-Yoon meets Moo-Hyul to confirm Ga Ri-On’s words and he did tell him the truth. He is sure about Ga Ri-On’s innocence. 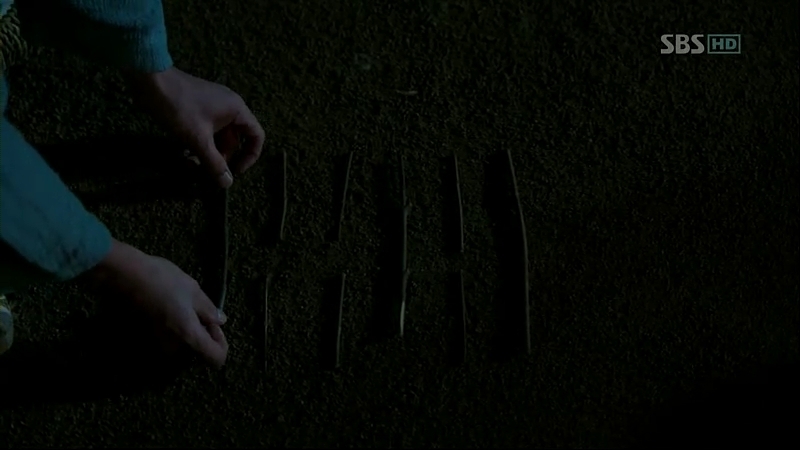 It’s bizarre if someone who’s so great in doing autopsy could leave his knife lying there carelessly. Moo-Hyul tells him it’s under Royal Division’s investigation and if he’s truly innocent, Ga Ri-On would be released. Chae-Yoon smirks, saying that he won’t escape without a single bruise or broken bone. He quotes directly from Ga Ri-On: he’s not a yangban who can defend himself easily. The interrogation is going on between Minister Jo and Ga Ri-On. Monister Jo knows about Ga Ri-On being forced to deliver meat to Scholar Nam secretly. Ri-On pleads, saying he’s innocent and he jut delivered meat to the residence on that night. Minister Jo asks him about his family and Ri-on tells him about his father who’s dead after being shot by arrows. Believing the butcher is innocent and there’s someone else behind him, Minister Jo tells him to confess about the person that gave him the order. Minister Lee is also there, watching them in secret, full of worry. He then returns to his office, where he finds a letter on his table. The letter leaves him dumbfounded. He shows it to Minister Jang, finally recovering from the shock that the letter brought him. It’s a new order from the Root after 24 years. Do Dam-Daek’s sudden changes in her actions send Scholar Shim into a rage and he asks her why she sent those orders without his concern. She thinks it’s the best decision to use another person as a messenger between them and Scholar Hye Gang as Scholar Shin is being monitored by so many people and they couldn’t afford to fail their mission. 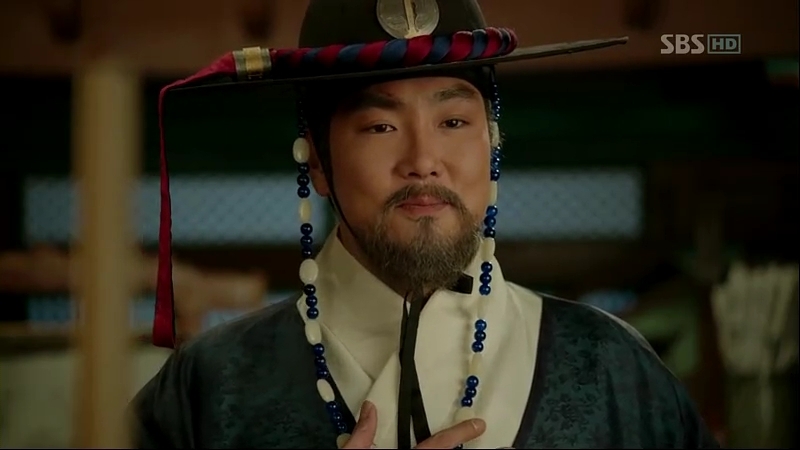 He’s surprised to know that the Root will appear on the day Scholar Hye Gang pays a visit to Sungkyunkwan and he’ll get the chance to see him himself. Do Dam-Daek again denies them from being associated with Nam Sa-Chul and Ga Ri-On’s event. Before leaving, Scholar Shim warns her not to hide anything from him, or else, she could be killed by his own hands. Sejong is flustered about their inability to testify Ga Ri-On and the fact that the Root is trying to hinder his every move, to the extent of framing the innocent butcher. He’s feeling weird about the organization’s true intention behind all of this, and it’s odd how they’re not killing the scholar this time. The sleeping Ga Ri-On stirs when he’s disturbed by a sound. Chae-Yoon enters and asks some questions about his whereabouts on that night. Somehow, he could see Ga Ri-On is lying and trying to keep something from him. He’s pretty riled up upon his hesitance but Ga Ri-On fells that it’ll be no use even if he told him. Sejong is relieved to know about Chae-Yoon’s view on Ga Ri-On’s innocence and orders So-Yi to do something. 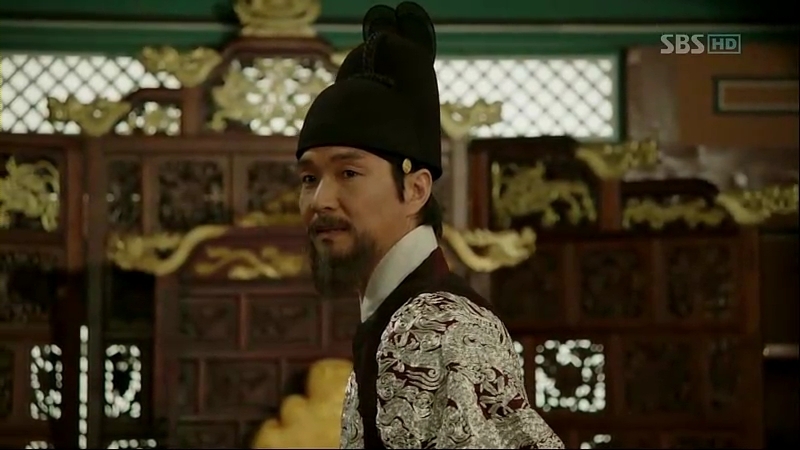 Ri-On then tells Chae-Yoon about his meeting with So-Yi to get an order from the King. Chae-Yoon dashes out to meet So-Yi, and his wish is granted not too long after that. She explains about her inability to testify Ga Ri-On, afraid that the secret King’s order would be revealed and asks for his help to prove his innocence himself. 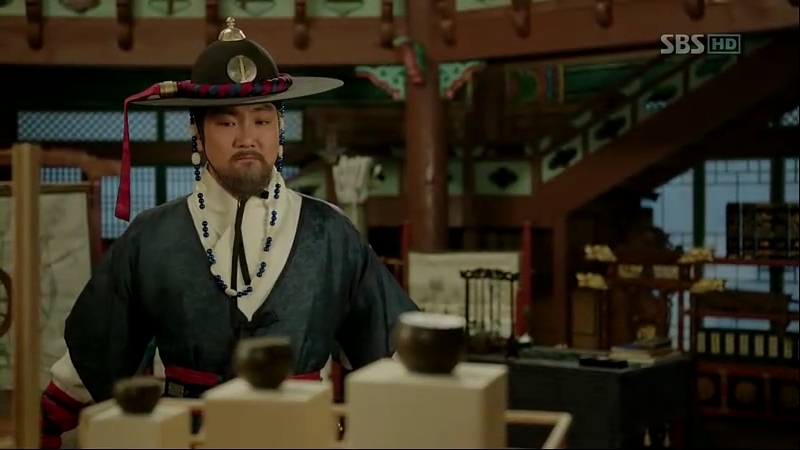 That makes Chae-Yoon angry as Sejong seems to be someone who doesn’t know the value of a life and prefer the worthless butcher to be sacrificed rather than disclosing the crappy secret to save him. So-Yi writes something and then, she bows in front of him. 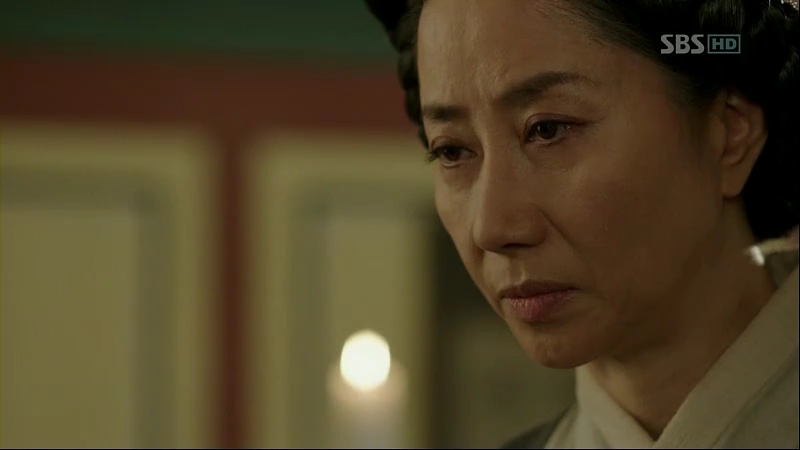 So-Yi explains about her own circumstances and how she treats Sejong’s affairs as her own. The nation, Ga Ri-On, and her own fate are now in Chae-Yoon’s hands, and she pleads him to save Ga Ri-On. She returns to the room where Sejong is, and asks why he chooses Kang Chae-Yoon to do the task of saving Ga Ri-On. 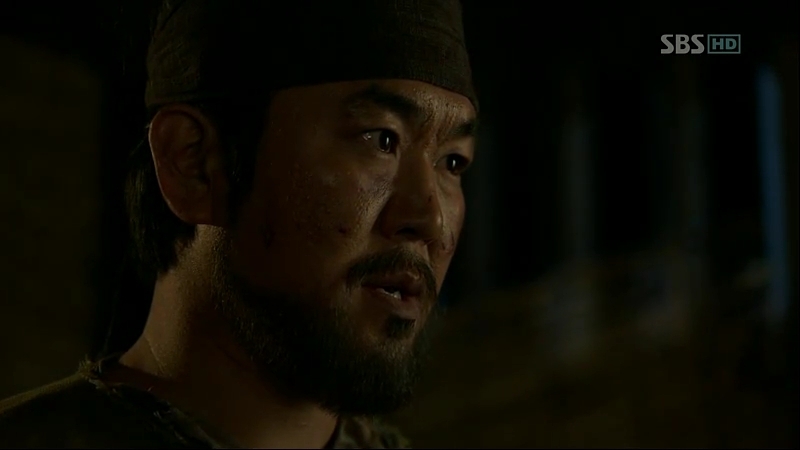 Sejong tells him about a boy that thought him doing something for the greater good isn’t that noble. That boy is Chae-Yoon, and the only person that he fears the most, but someone that he can trust with all his might. So-Yi realizes the other person that Sejong wants to tell about the new language is Chae-Yoon. The said man is in Banchon, trying his best to find a witness for Ga Ri-On. He’s pretty upset when nobody said anything. Scholar Shim, who’s walking around, sees and avoids Chae-Yoon. Suddenly, a man says he heard the sound of cows weeping from the slaughter house, but Chae-Yoon knows there wasn’t any cow inside on that night. He gets something and leaves to meet the person that can make many sounds. The man is scared but he follows what Chae-Yoon orders him to do. Confirming that the man was around the autopsy room on that night, Chae-Yoon makes him confesses everything that he saw: two figures around the place. The new language class is going to start and Sejong introduces the court ladies that have been in charge of the matters about the language to Sam-Moon and Paeng-Nyeon. The scholars ask him to forgive them should there any disrespect that they might show in the process. Then, Sejong begins explaining the basics with pride in his eyes. So-Yi looks over them from the above and muses over Sejong, who likes to do things the hard way. She expresses the trust she has for him and knows Chae-Yoon will be able to trust him, one day. Chae-Yoon meets Minister Jo to report his findings and proves Ga Ri-On isn’t the one who did that. Minister Jo asks what the descriptions that he got about the suspects are. One of the suspects is described to have features like him, and Minister Jo realizes someone has seen him around the autopsy room. He admits he was there, and he also saw the other man, who is now the prime suspect. 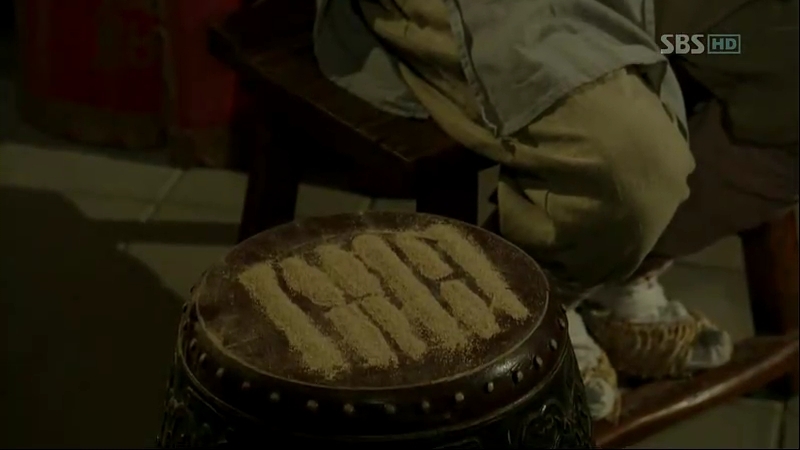 Next, Sam-Moon and Paeng-Nyeon are introduced to the alphabets and Sejong emphasizes on the simplicity of them. They are amazed with the alphabets’ shapes that are all derived from the organs where their sounds originated. 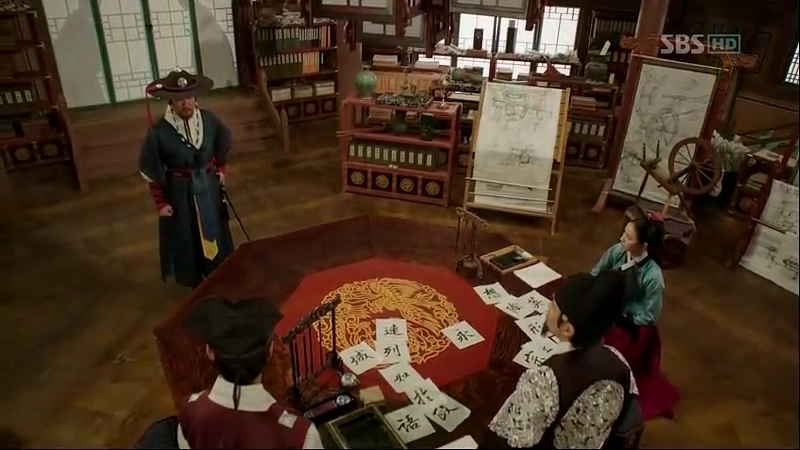 Sejong is curious why they are so deep in thought and asks their opinion about the alphabets. Both of them think it’s not the time to decide yet, and Sam-Moon points out some things that are still incomplete. Sejong chides them for being so mean in their comments and admits this is why he’s giving out secret orders, and this time, it’s for Ga Ri-On. Chae-Yoon thinks someone is trying to frame Ga Ri-On and racking his brain to find someone who would benefit from this. Minister Jo tells him that every single nobleman is against the thing that Sejong is working on and each of them has the potential to do it. Paeng-Nyeon demands to know more about Mil-Bon, which is thought to be a rumor. Sejong admits its existence and when Paeng-Nyeon relates the mass murder Taejong committed, he realizes the reason behind his father’s actions. He immediately goes to see Chae-Yoon. Sejong tells Chae-Yoon the reasons people make a move: fear, hope, pain, and joy. Chae-Yoon admits the fact, as he’s someone from the battlefield. The next question surprises Chae-Yoon: can he read fear? Sejong says Chae-Yoon can because he’s already experienced it once when he was left alone after his father’s death. 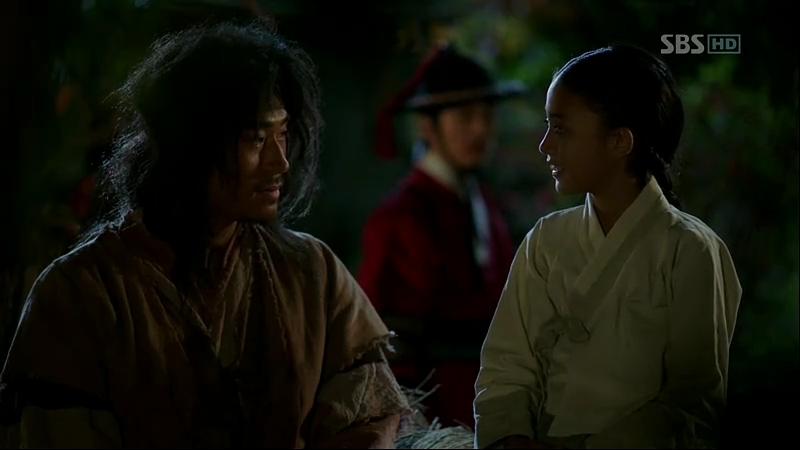 They walk towards the main quarters and Sejong begins to lecture Moo-Hyul about him being so far away when he met Chae-Yoon earlier. 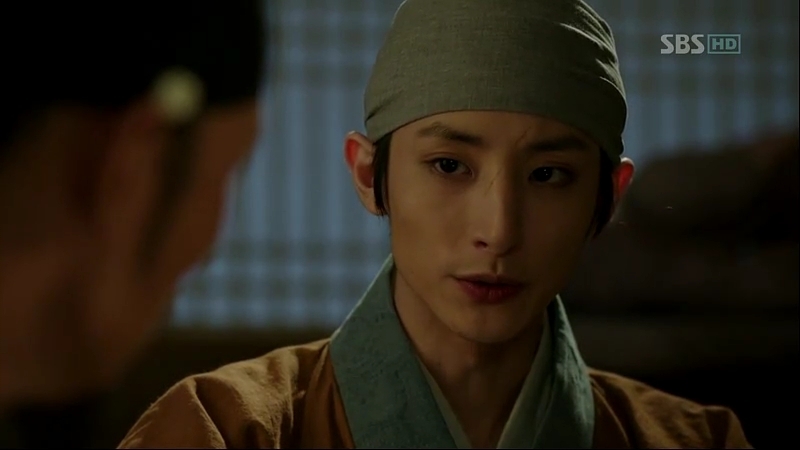 He accuses Moo-Hyul of not caring about his safety anymore despite his knowledge about Chae-Yoon’s intention. 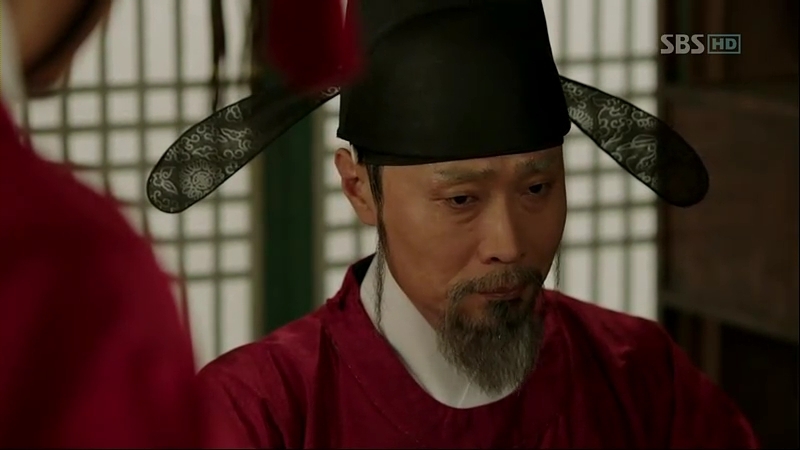 Sejong is worried about Chae-Yoon, whether he could get what he said. 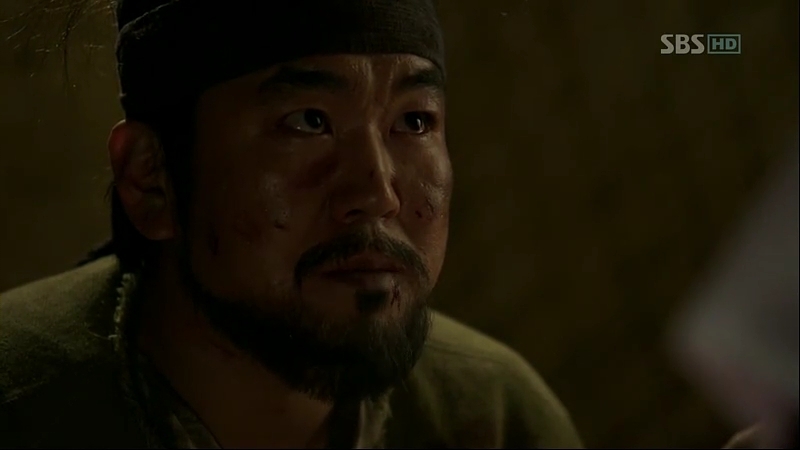 He asks Moo-Hyul’s opinion about his words before, but he actually doesn’t really get what Sejong was saying. Sejong teases him but at the same time, wondering about Chae-Yoon. The three red guards are busy thinking about Sejong’s words about fear. Chae-Yoon suddenly rises, saying that he gets something. They go to Scholar Nam’s house. 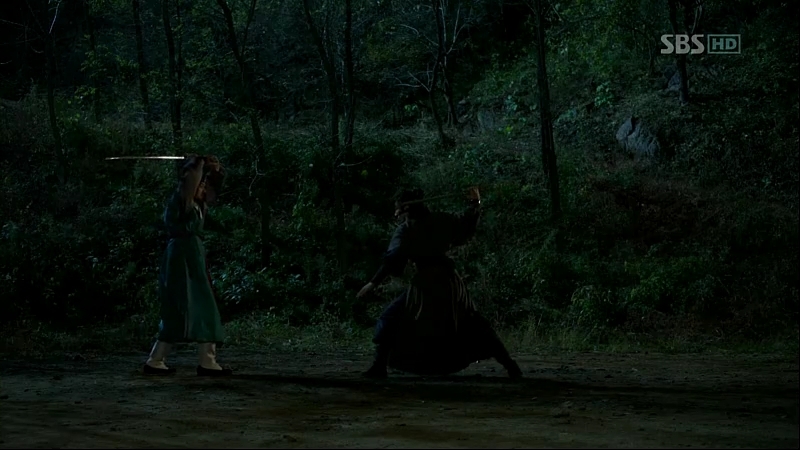 Chae-Yoon and Cho-Tak looks around, but unlike what has been claimed by Scholar Nam, it wasn’t Yoon Pyeong who came to him. 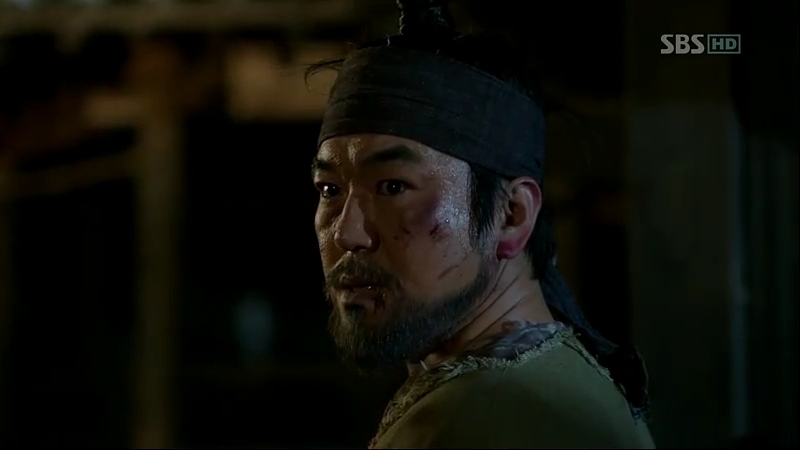 He watches the nobleman’s hand trembling out of fear and recalls what has been said by Sejong. He purposely drops his identification tag before leaving and plans something with Cho-Tak and Park Po. 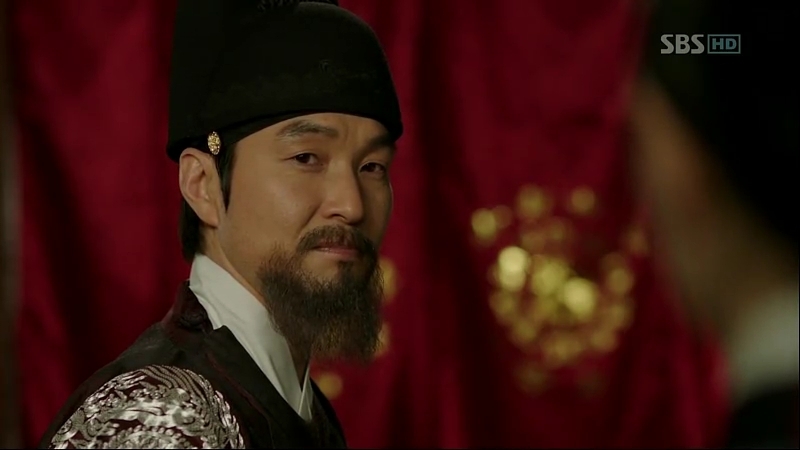 Scholar Shim’s assistant feels something weird about the guards, but his master doesn’t take it seriously. 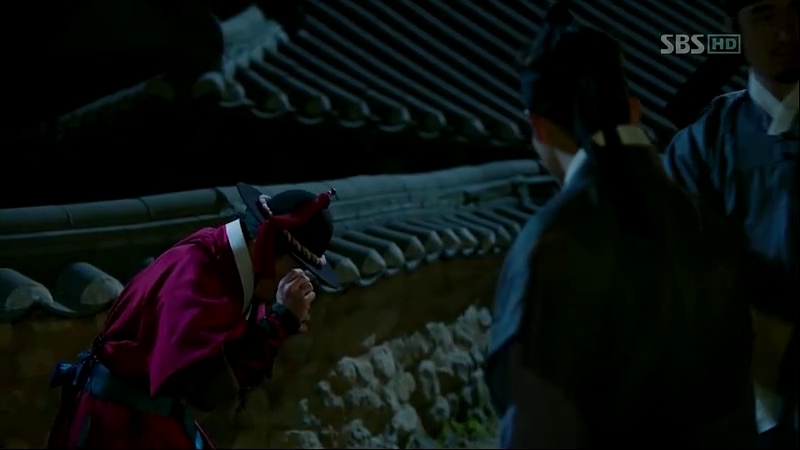 Suddenly, they hear Chae-Yoon’s voice outside, ordering the servants to help him find his tag. 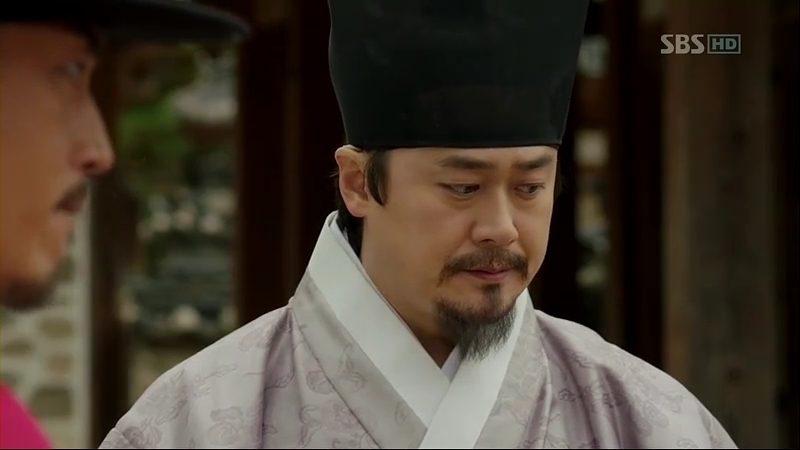 Scholar Nam heads out and he disapprovingly comments on Chae-Yoon’s recklessness. Then, Cho-Tak and Park Po run into the compound and between their breaths, they tell him about an eye-witness who is sketching the suspect’s face. Their small acting session is interrupted by Minister Jo’s sudden appearance and they leave. The assistant’s silhouette is quite familiar to Minister Jo and he remembers it is the same as the prime suspect’s figure that he saw. 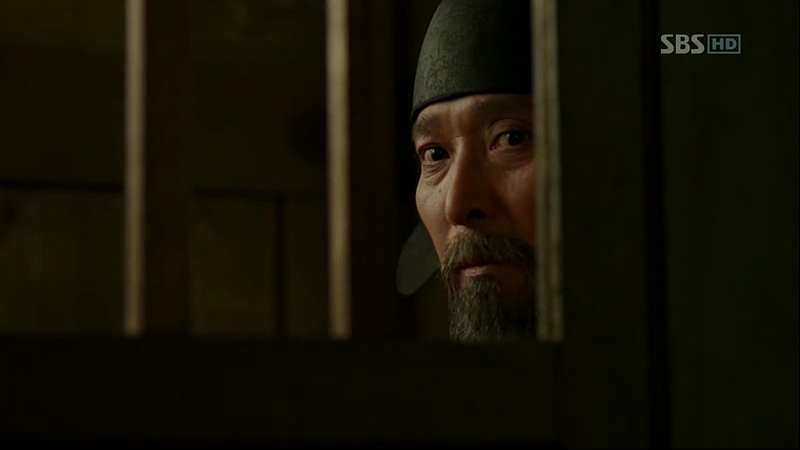 He leaves hastily and Scholar Nam tells his assistant to look for an assassin. Scholar-To-Be Han, Dam-Daek, and Pyeong are busy discussing about Mil-Bon’s movement. Han urges Dam-Daek to take immediate actions but she can’t do anything without any order from the Root. Pyeong assures them everything is going on according to their plan, and he’ll pass the message around the city on that night. Some villagers are passing secret messages between them but unfortunately, someone is watching them closely. The unlucky guy is greeted by the person watching them, who turn out to be Jeok-Hee. He is then brought to the embassy, where is threaten with a hot iron to tell her the truth. 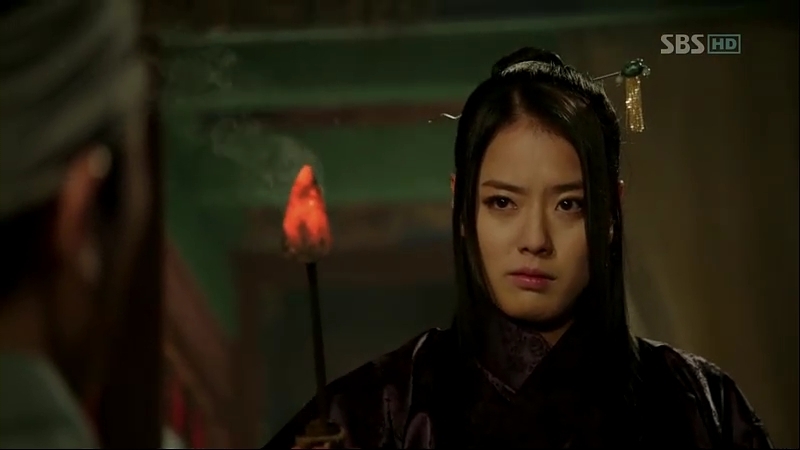 She is forced to stop when an unexpected guest pays her a visit: Scholar Shim. In the middle of the night, Chae-Yoon is alone in the streets when he runs into Scholar Nam. He greets him and tells about the drawing that he is going to send to the investigation team. Two men come forward, and they move closer to Chae-Yoon. He feigns his scatterbrained action and gives the drawing away to Scholar Nam, who is taken aback with the picture in the drawing: a dog. Chae-Yoon reveals his true skills, defeating the man with some punches. Minister Jo and a bunch of guards arrive at the scene, ready to catch Scholar Nam. It’s nothing more than an act created by him to save himself. Sejong is displeased to find out a Jip-Hyun Jeon scholar like Scholar Nam could do something like that. Nevertheless, he’s amaze with Chae-Yoon’s ability to understand what he meant. He further teases Moo-Hyul about his inability to understand him while Moo-Hyul tries to explain himself. 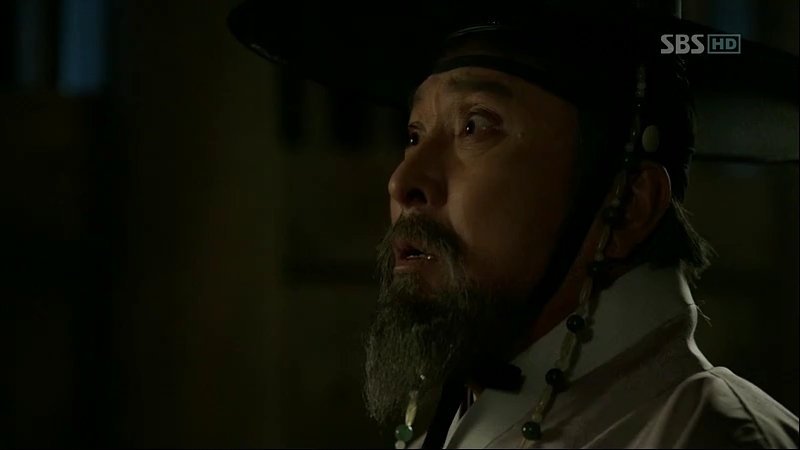 Sejong is amazed with Ga Ri-On, who didn’t give away anything about the secret mission. He decides that the man could be trusted and decides to go somewhere. Moo-Hyul follows him, unable to say anything to defend himself. The innocent is being released, and Ga Ri-On bows to Chae-Yoon, showing his utmost gratitude for saving his life. 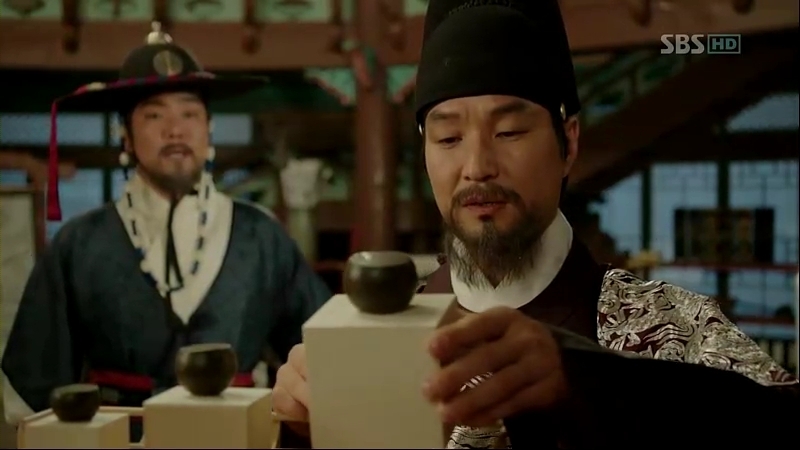 Chae-Yoon tells him not to do that and passes a gift from Minister Jo to him. Ga Ri-On is so happy and clutches the gift of wine tightly, promising that he won’t forget his deeds. He walks away, with Chae-Yoon looking over at his injured legs from the beatings. Cho-Tak asks why Chae-Yoon was desperately trying to prove Ga Ri-On’s innocence and save him while the slave is just someone they know. Cho-Tak thinks Ri-On reminds him of his father, but Chae-Yoon denies it. He opens his drawer, but Cho-Tak is faster to take out a lipstick case. He playfully puts some of the lipstick on Chae-Yoon’s lips, and that triggers his memory of Dam-Yi. He walks out, but the sight of two persons playing word games again throws him into his past. His friend thinks he’s angry, but Chae-Yoon starts to play the game with him. 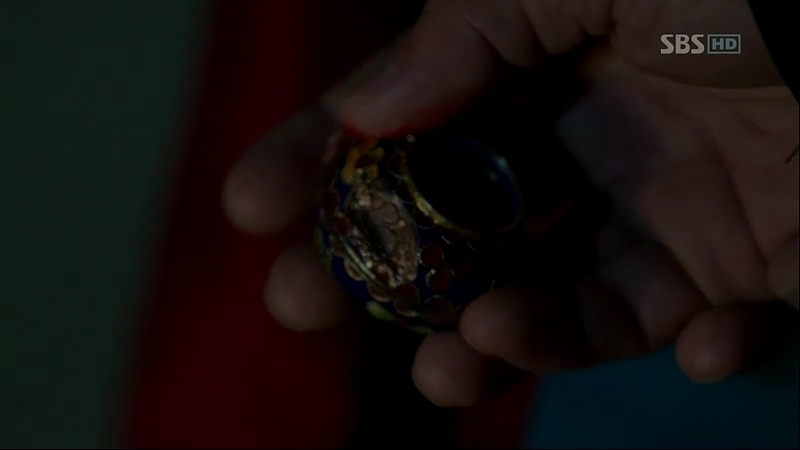 He ends the game before walking away, the case clutched in his hand. 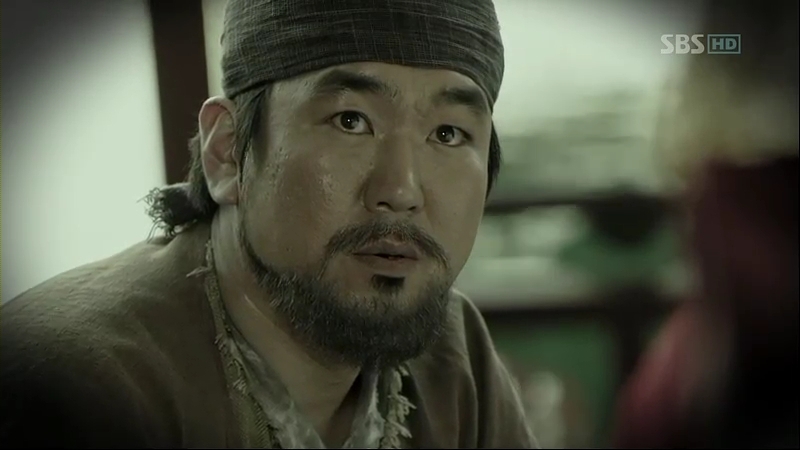 Scholar Shim concludes his visit to Taeppyeonggwan but as he is leaving, he hears someone asking for help in Korean. He finds it suspicious and tries to take a look. He finds the unlucky man being tied, with the hot iron beside him. 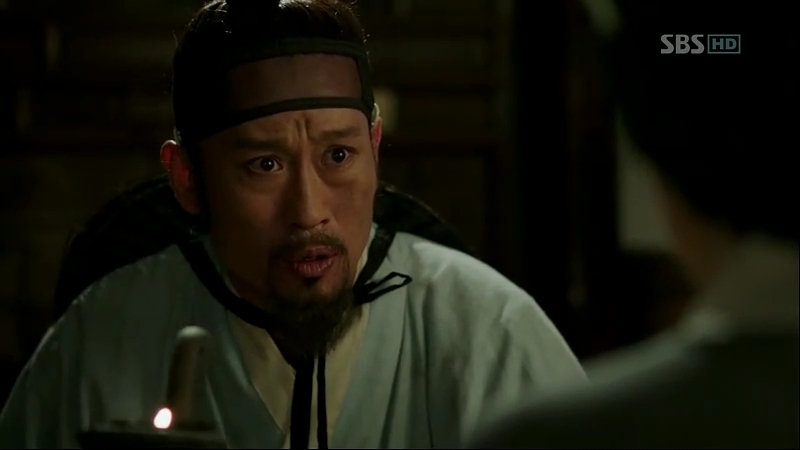 Scholar Shim almost freezes when he sees the symbol beside the man and with his authority, he asks for the man to be freed and taken away by him. He starts asking the man what is going on, and he gets to know about the order to gather Mil-Bon’s people by Dam-Daek. Ga Ri-On, who was being followed from the beginning, is suddenly surrounded by some men. 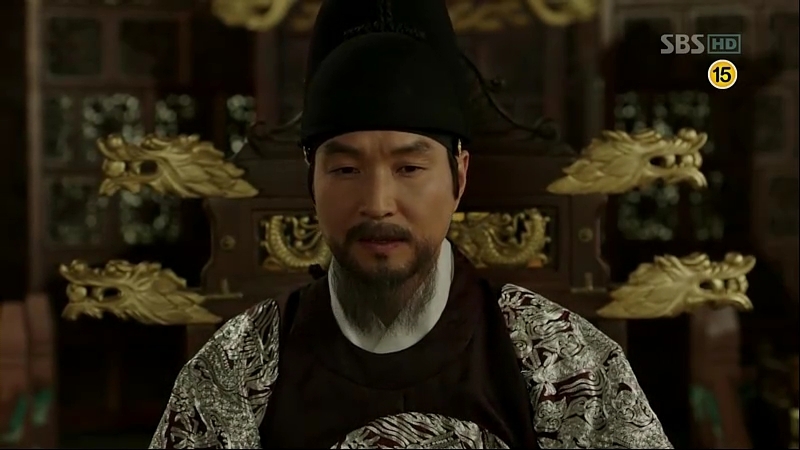 As soon as his name is called, Yoon Pyeong appears in front of Scholar Shim. Without any explanation, Scholar Shim hits him. Scholar Shim is mad about Pyeong’s sudden order to gather the people and feels he’s being mocked by both Dam-Daek and him. He challenges Pyeong to fight him. 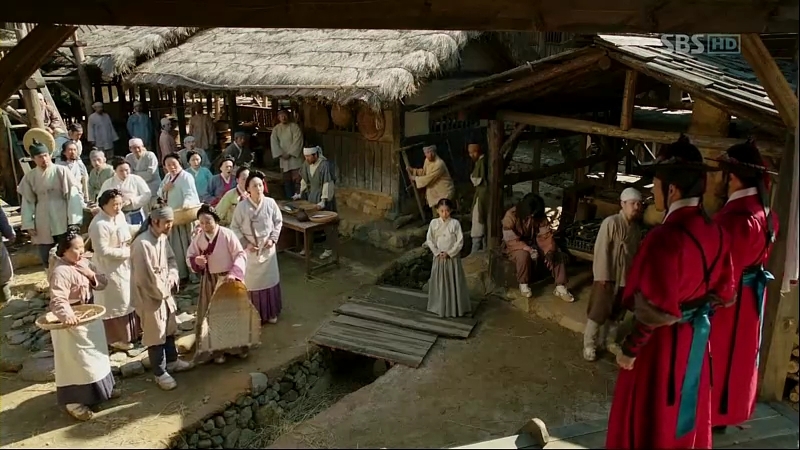 The men bring Ga Ri-On to a place where Minister Lee is waiting for him. He demands to know Ri-On’s involvement in Mil-Bon as the order that Minister Lee got was to save him. He threatens to have his answer, whether he’s really one of the Roots. Minister Lee is truly shocked, and he can’t believe it. Ga Ri-On rises from his bow and repeats the words he told him years ago. Dam-Daek reveals the true identity of Ga Ri-On: he’s the Root, Jeong Ki-Joon. 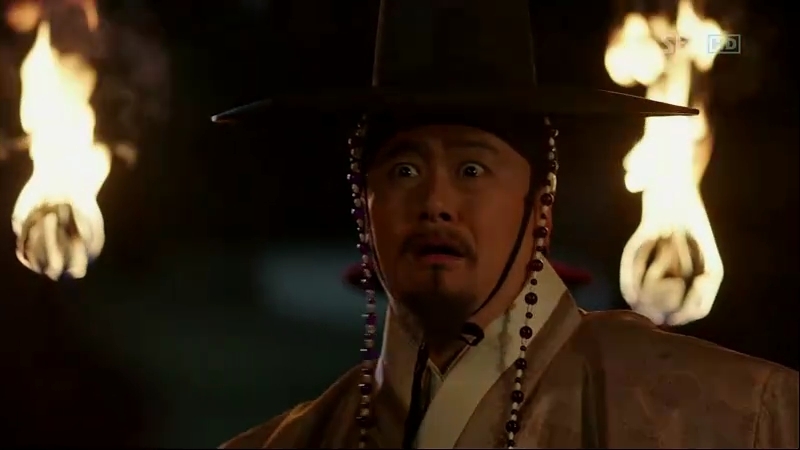 Scholar Shim is so shocked with this revelation. The order given to Minister Lee is in fact Dam-Daek’s doing to save Jeong Ki-Joon. Ga Ri-On, or Jeong Ki-Joon, leaves the dumbfounded Minister Lee, telling him to wait for the next order. Jeong Ki-Joon repeats his words to Yi-Do, years ago, “You can’t do anything.” While Sejong is on his way to meet Ga Ri-On, a smile plastered on his face. That’s my first reaction after watching the scene where Ga Ri-On reveals his real identity. Somehow, I’m pretty surprised at myself as I could even laugh when I watched some serious scenes. Oh, maybe the over confident Scholar Shim never fail to amuse me. I cried again during Chae-Yoon and So-Yi’s scene. Heh. i was seriously floored with that revelation. i love the twists and turns and intertwined destinies in this drama. thx for the recap!